my blog about art, radio and life! 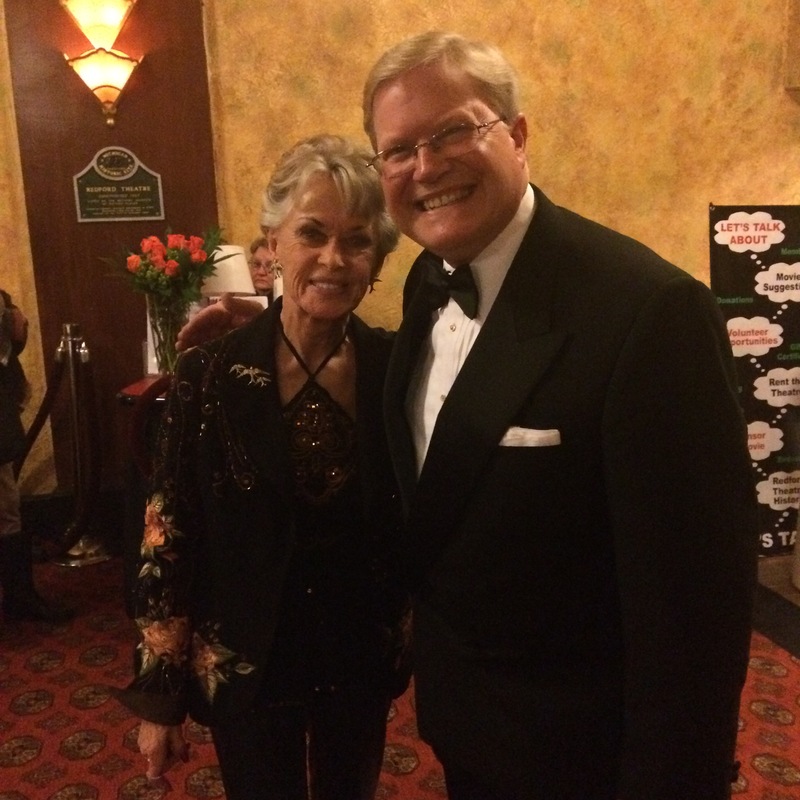 Last Friday, October 16, I had the great pleasure to emcee for legendary actress, Tippi Hedren, upon her return to Detroit’s historic Redford Theatre. She came as the high point to a weekend-long salute to her classic films The Birds and Marnie, both directed, of course, by Alfred Hitchcock. I had had the opportunity to interview Miss Hedren twice before on “Speaking of Art,” and had met her during her 2012 visit to the Redford. To speak with her onstage before a warm and enthusiastic audience was, for me, a culmination of my long admiration for this artist. Let me state flat out that Tippi Hedren is a force of nature. She possesses Olympian confidence, charm, and vast stores of energy which she directs to getting things done (such as her championing of House bills to protect exotic animals), as well as a timeless elegance. Her bearing, nurtured in childhood in New Ulm, Minnesota, and enhanced during her modeling days with Eileen Ford in the early 60s, fused with an innate acting talent. While she has admitted to being nervous during her screen test in front of Hitchcock for The Birds, she was never an ingenue. During our conversation I pointed out that few actors brought such assurance to their first roles as she. Two others, Gene Tierney and Teresa Wright, I had in mind but did not name. She works as hard as ever in film and television, and is a popular speaker here and abroad. And with Melanie Griffith, her award-winning actress daughter, and granddaughter Dakota Johnson, an acclaimed newcomer, she has established an acting dynasty to rival the Barrymores. One can learn from Tippi Hedren: commitment, patience, love of nature and its creatures, how to struggle with dignity, etc. All this on a foundation of immense inner strength and flawless style. Tippi Hedren is a consummate communicator, and far more than beautiful.